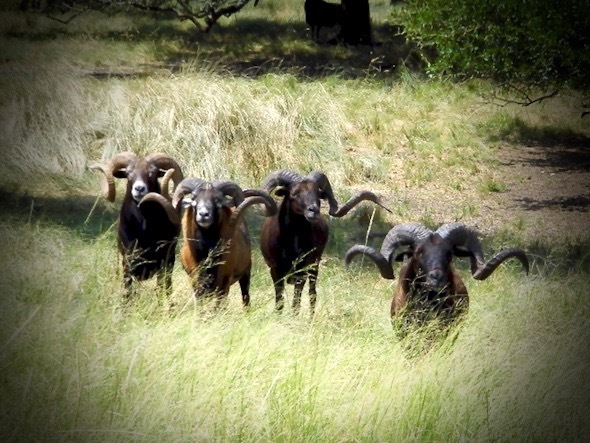 Our ranch also has available for hunting trophy rams from the Corsican, Texas Dall, and Black Hawaiian breeds. 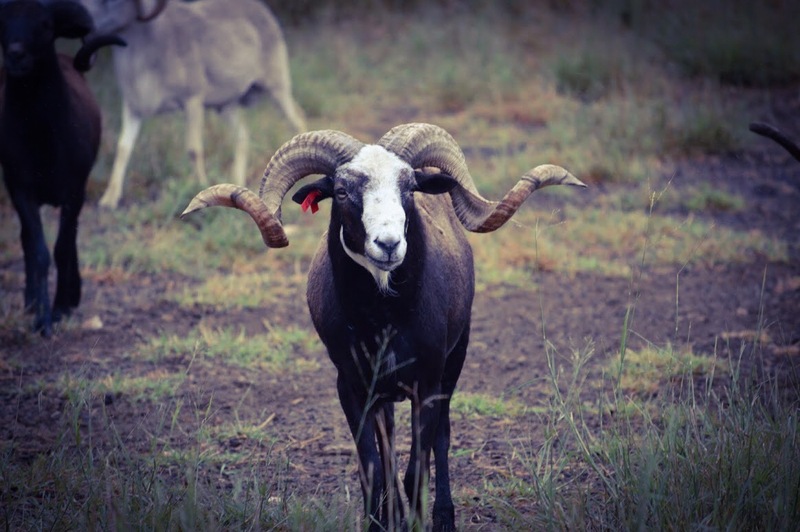 Mature rams in all three breeds are coveted trophies by veteran sheep hunters, or, the hunter out to experience something different. 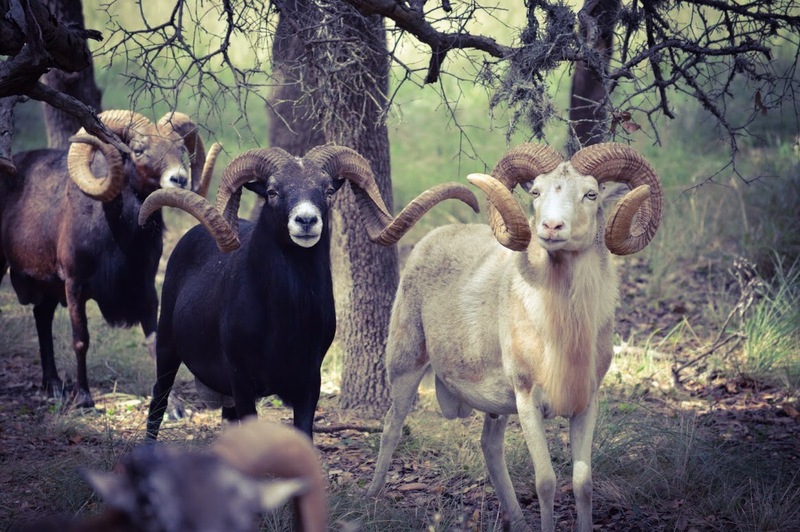 All three breeds, and our mouflons, thrive in the habitat provided by the beautiful Texas Hill Country. New, October 2018. This large Black Hawaiian is representative of what's available for hunting this fall/winter season. New, October 2018. 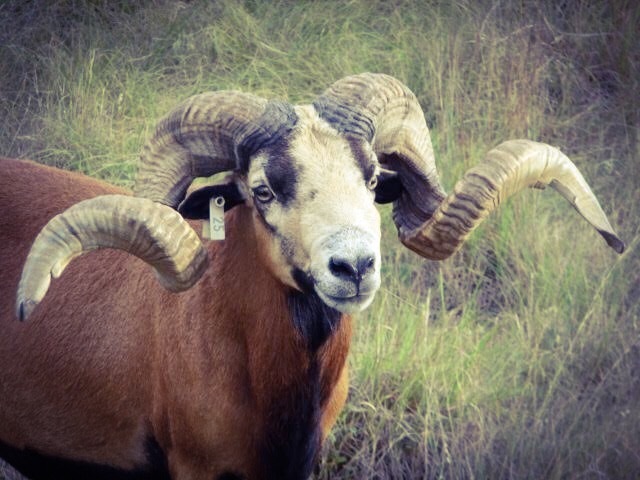 This beautiful Corsican ram keeps an eye out for suspicious activity. New, October 2018. 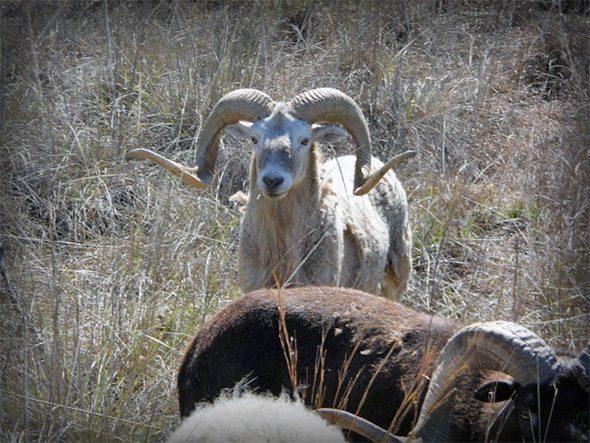 This beautiful tan Corsican is representative of the hard-to-find all-tan Corsican rams. New, October 2018. 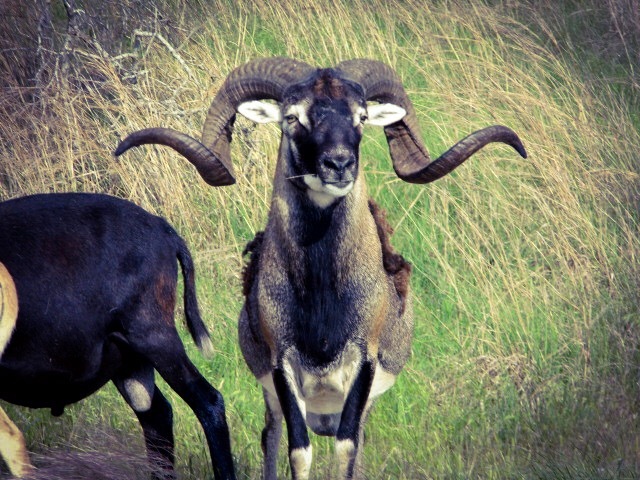 This Black Hawaiian ram has unique white markings and huge horns. 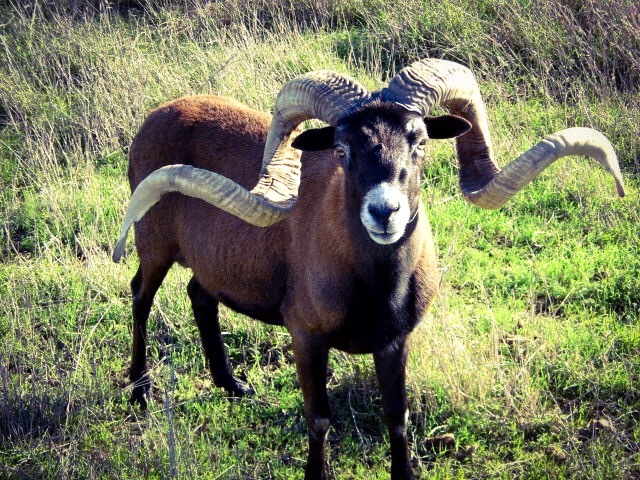 This large Corsican ram keeps an eye out for any intruders. 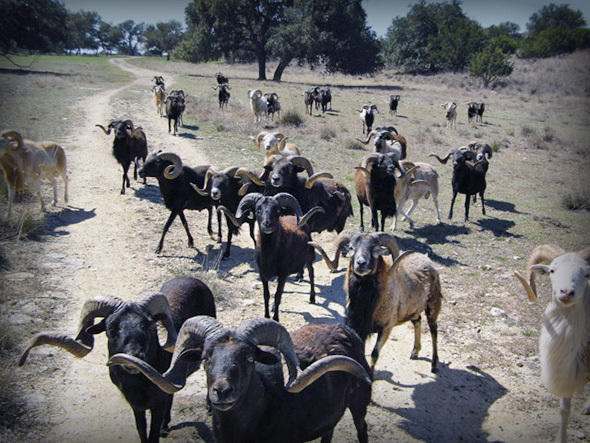 Among the trophies available are some all-tan Corsicans, sheep fairly rare on game ranches anywhere. 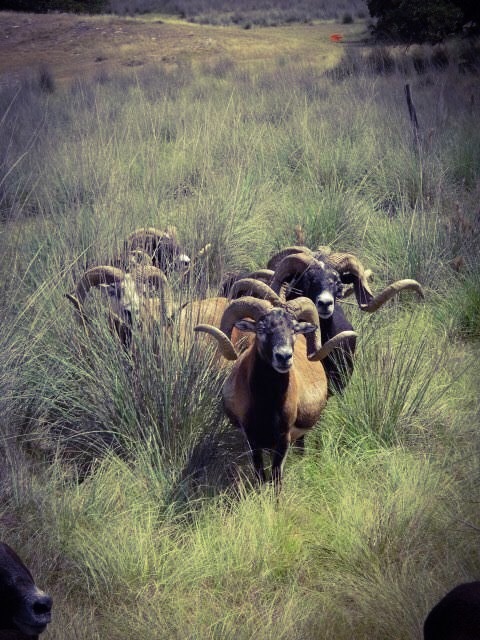 This group of trophy rams was captured while on the move in tall grass. 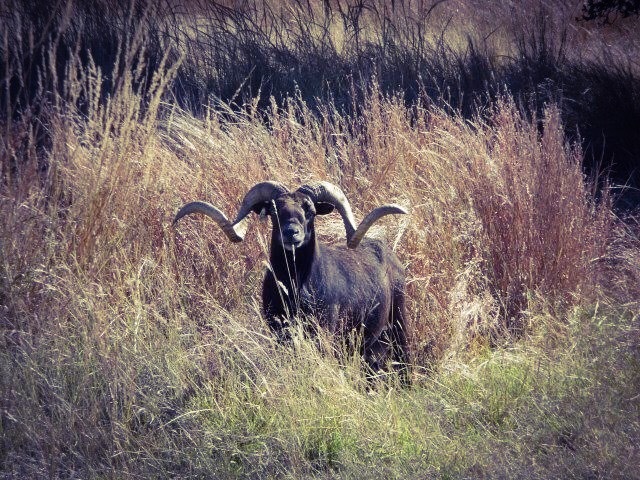 This Black Hawaiian represents the caliber of trophies available on the von Netzer Ranch going into the 2018-19 hunting season. 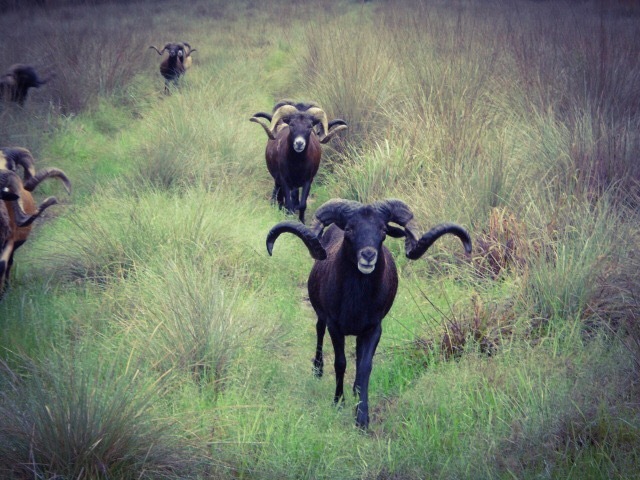 These big rams are on the move. 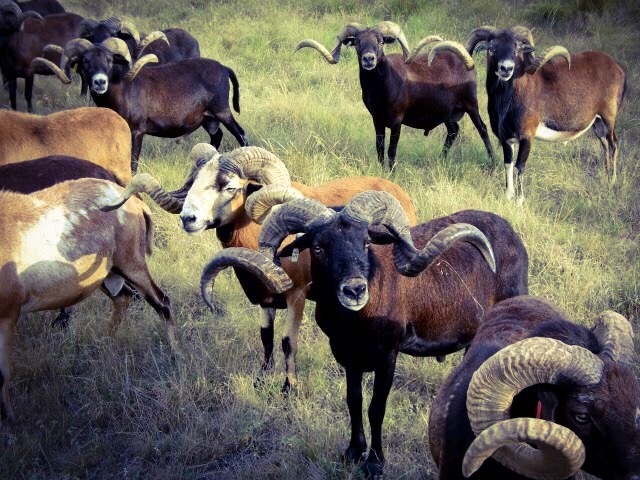 This group of rams shows the diversity of trophies on the ranch. 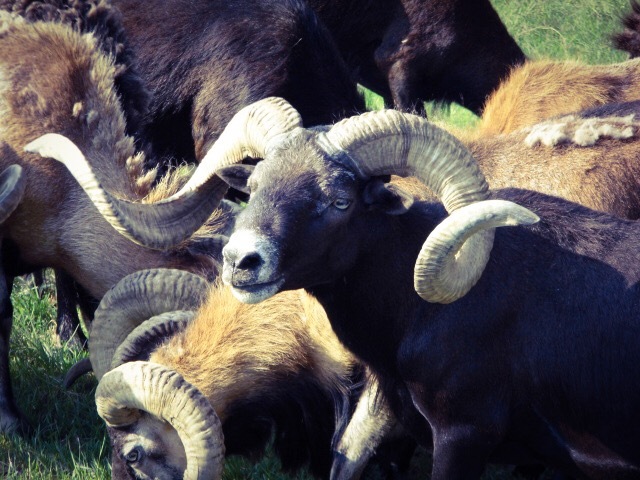 This massive Black Hawaiian ram is representative of sheep raised on the von Netzer Ranch. 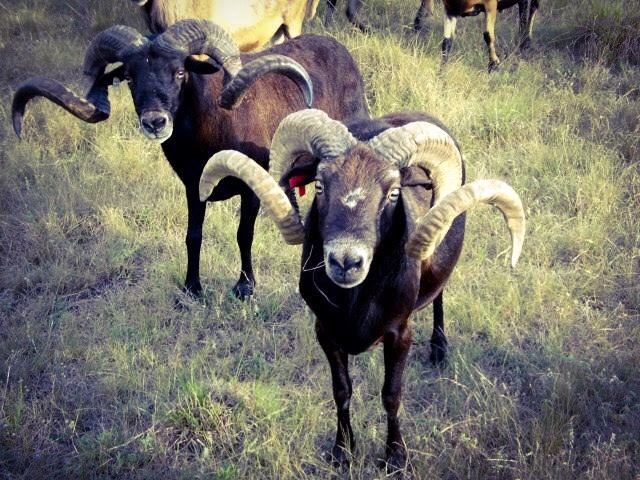 These rams are keeping an eye on the distant photographer. 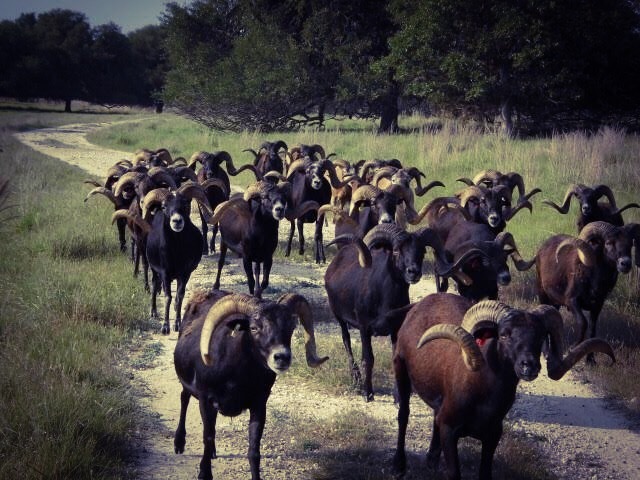 This group of rams is on the move. 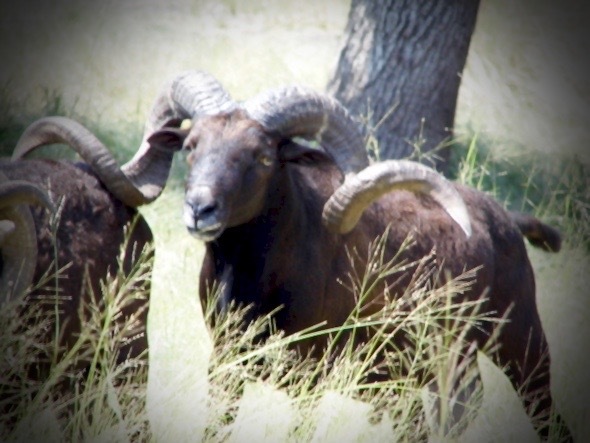 This large Black Hawaiian ram stays by himself amid the protection of a good season for grass. 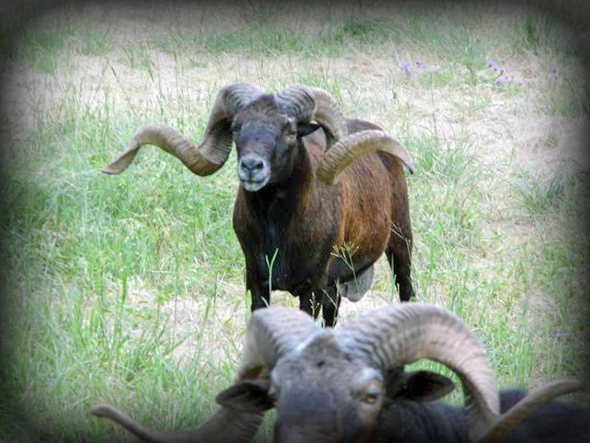 These 2 rams also are representative of sheep produced on the von Netzer Ranch. 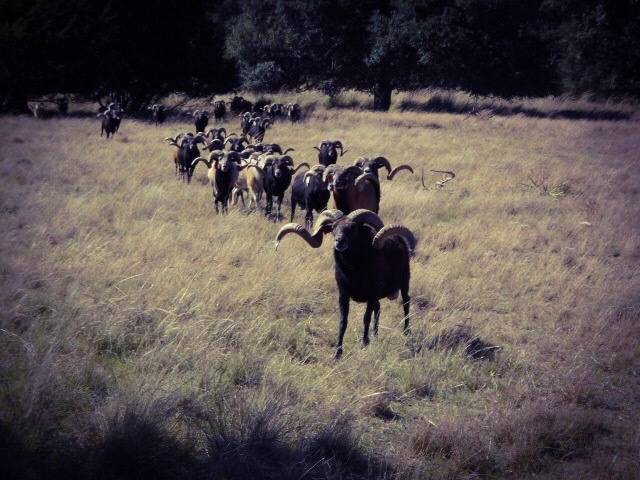 More big rams on the move. 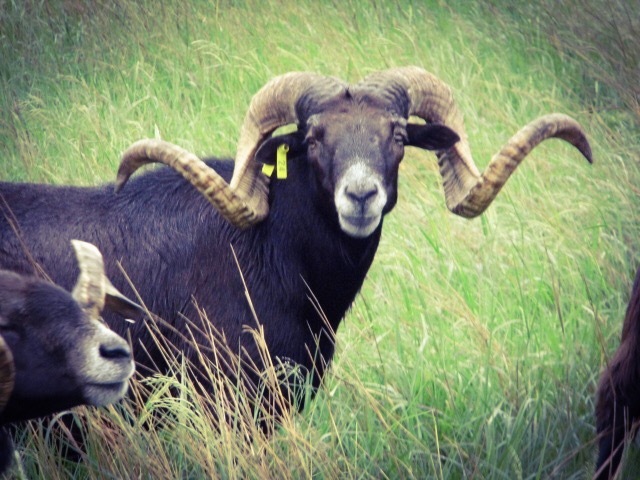 These are 2 of the mature rams that are still young and reflect the quality of genetics available in the animals that can be hunted. 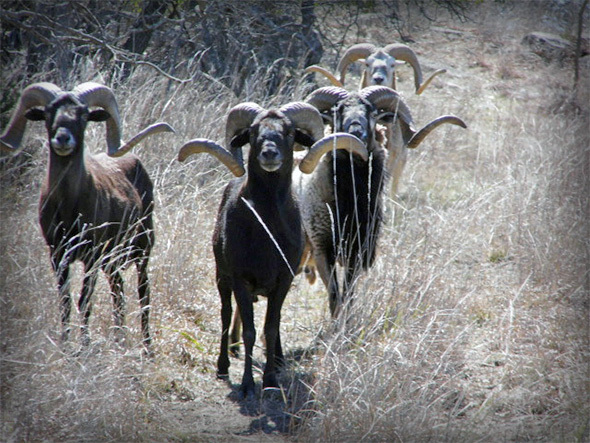 This group shot shows some of the rams available for hunting this coming fall/winter season. This mature Corsican shows the mass as well as length in the ranch's genetics. 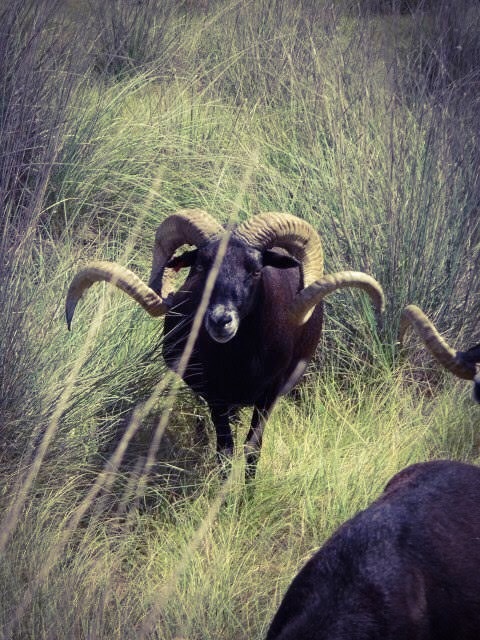 These 2 Black Hawaiian rams show a contrast in their impressive horn development. 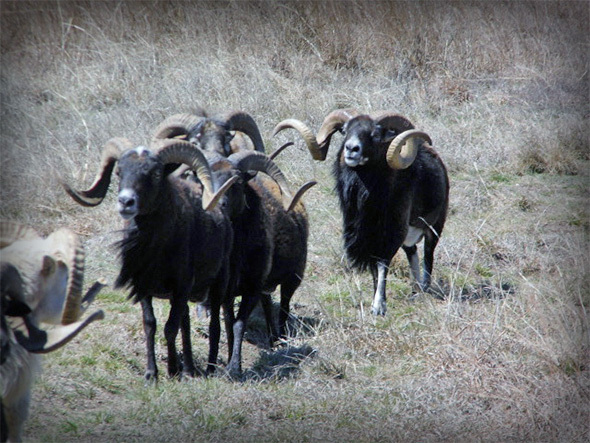 This group shows many of the trophy rams available for hunting. 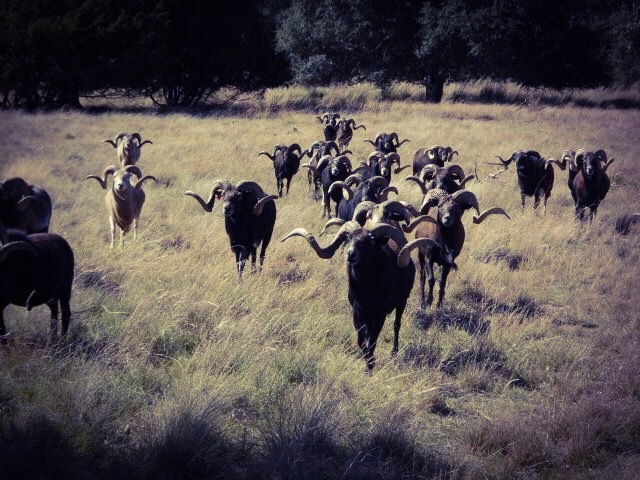 This group of rams is on the move and shows the diversity in the von Netzer Ranch herd. 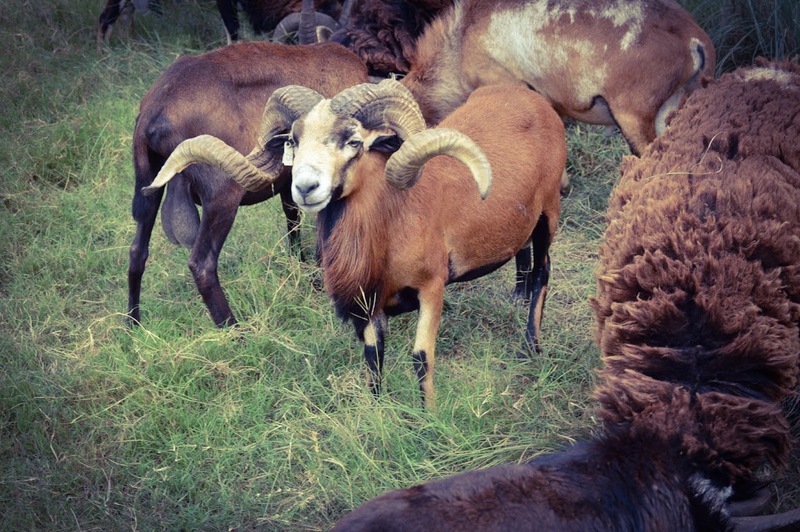 This beautiful Corsican ram is still very young. 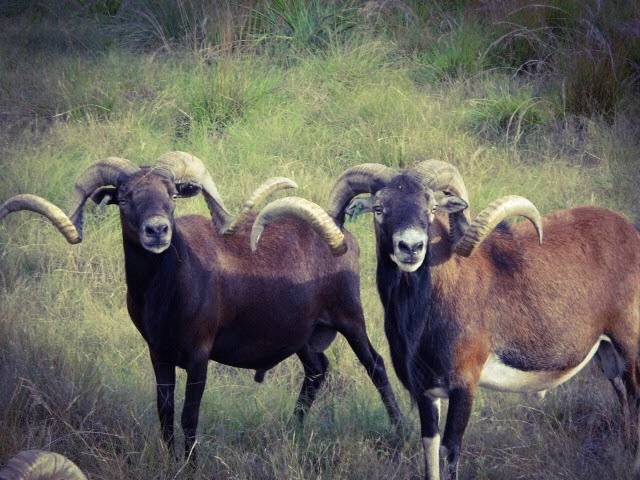 These 3 large rams reflect the diversity on the ranch. 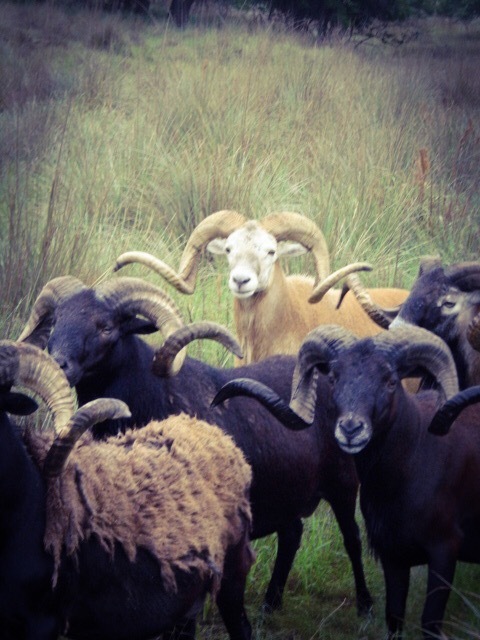 This Black Hawaiian ram stands out among mature rams. This impressive Black Hawaiian shows the quality of the von Netzer Ranch genetics. 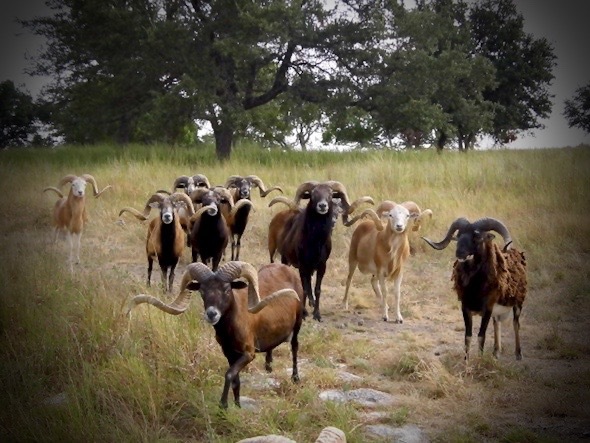 This group of mature rams shows the diversity and quality of mature rams on the von Netzer Ranch. 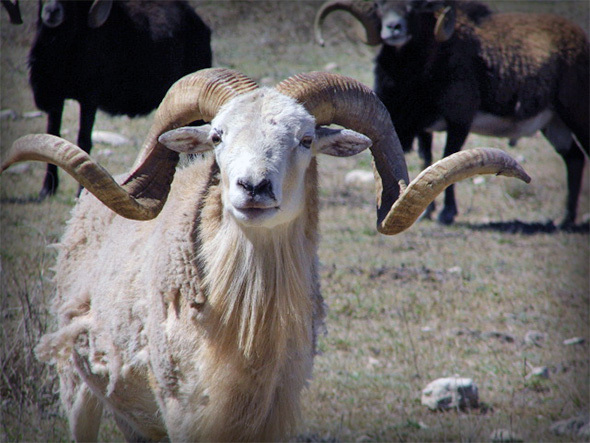 The ranch herd of trophies includes the all-tan strain of sheep. 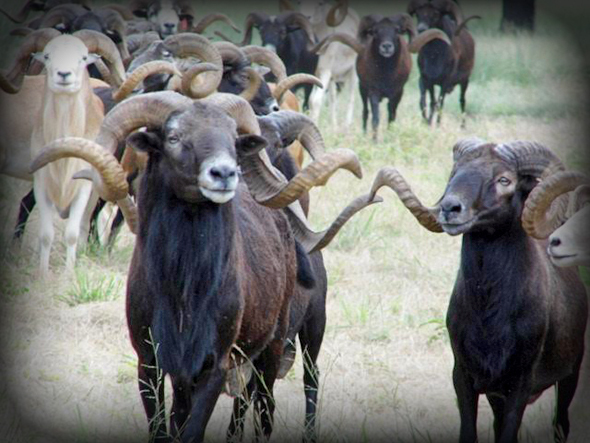 The von Netzer Ranch herd of mature rams includes some world-class Black Hawaiians. 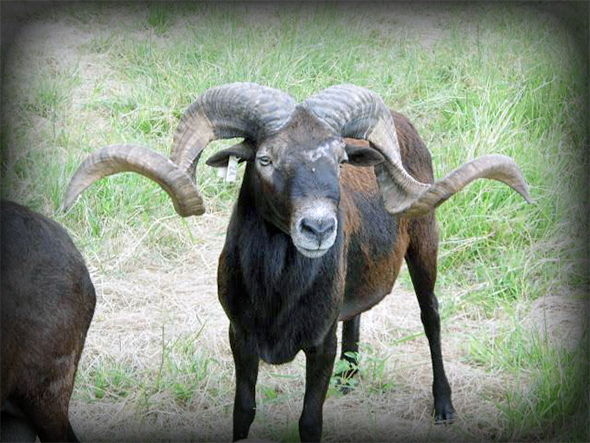 This photo shows a striking contrast between black and white trophy rams. 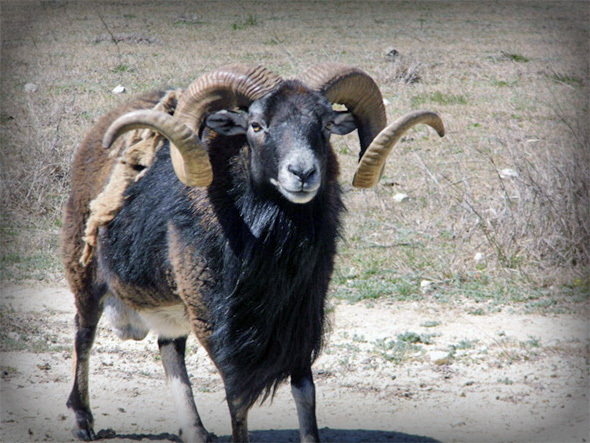 This Corsican has the Blackberry Barbary look that is popular. 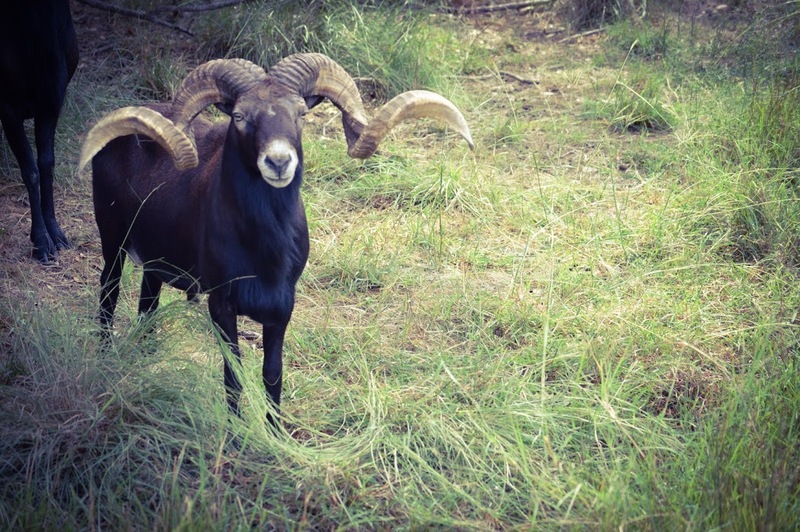 This monstrous Black Hawaiian ram would make most record books. 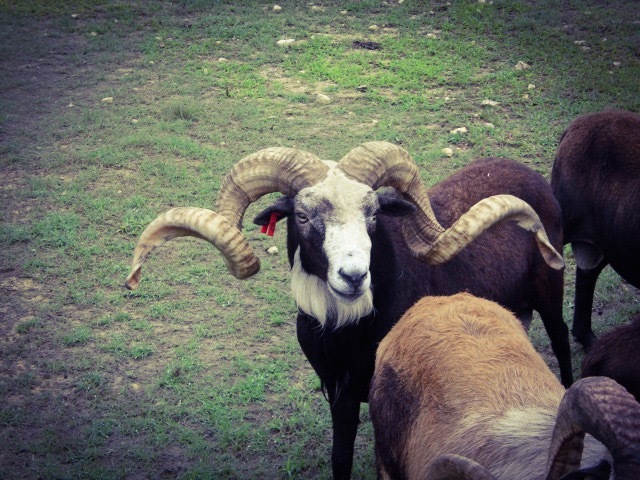 This 4-horn ram and others like it also roam the von Netzer Ranch. 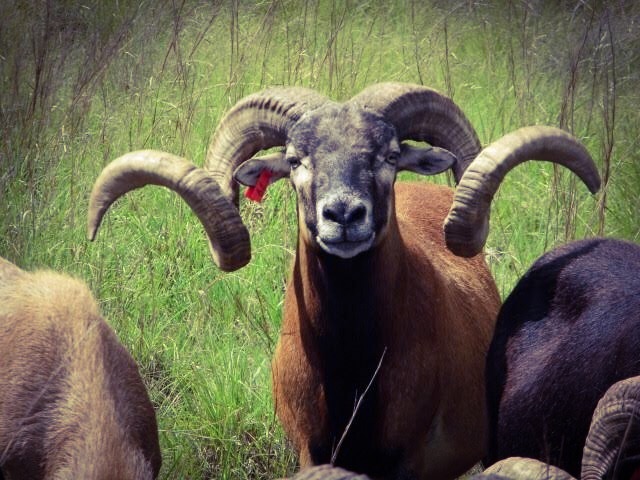 This ram is not yet 2 years old but shows enormous potential when fully mature. 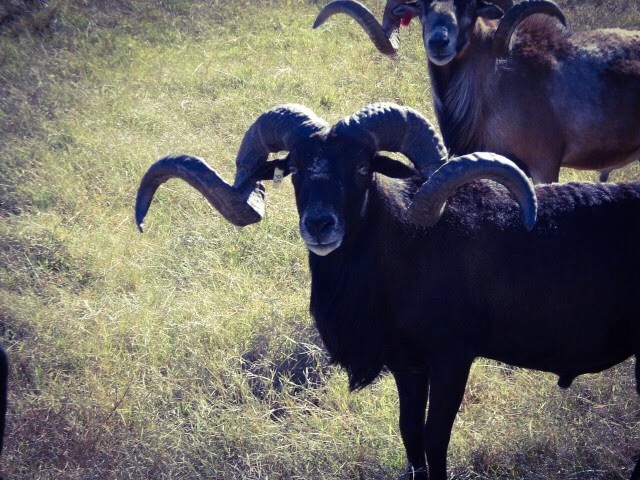 This large Black Hawaiian is representative of a large number of trophies roaming the von Netzer Ranch. 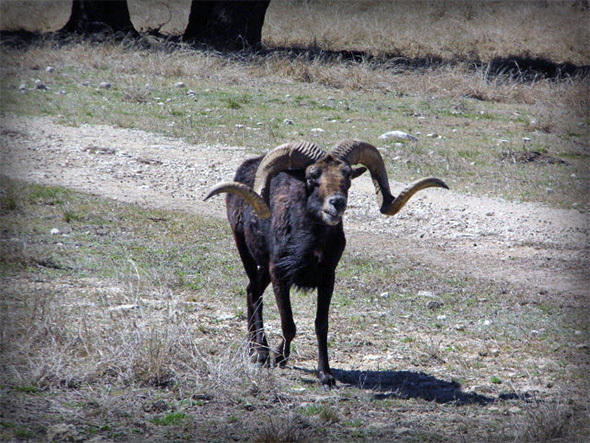 The von Netzer Ranch has 4-horn rams along with other exotics in the Texas Slam. 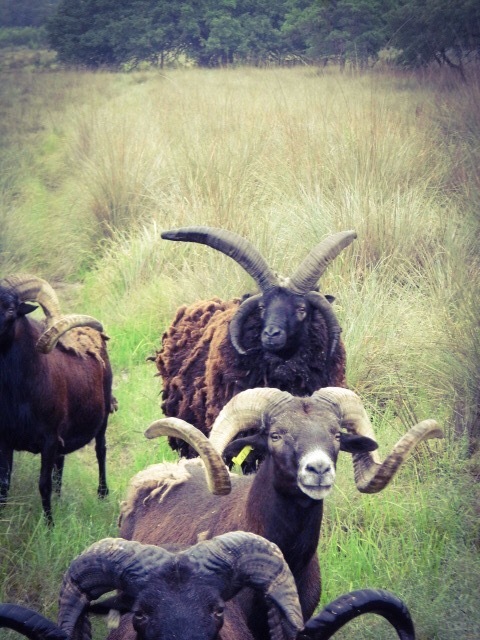 The Corsican ram in the foreground is just 2 years old. 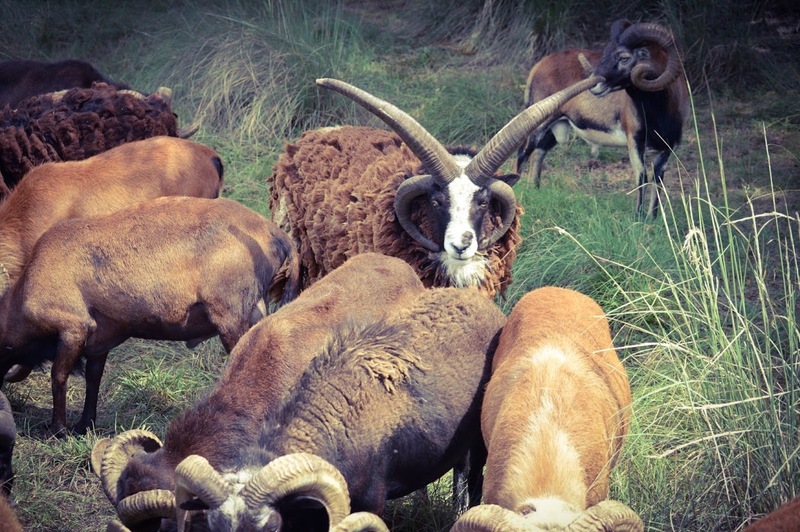 This group of rams has a number of mature animals, including a large Painted Desert in the middle. 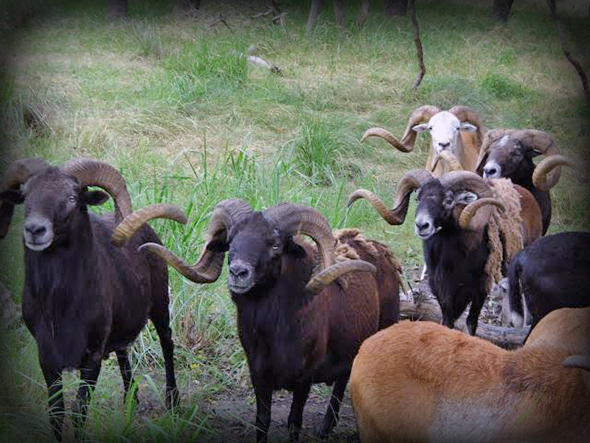 This Black Hawaiian ram really stands out among the herd. 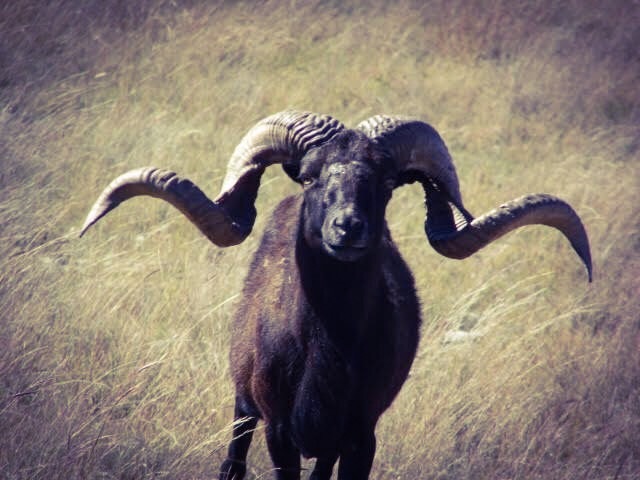 Another large Black Hawaiian ram reflecting the von Netzer Ranch genetics. 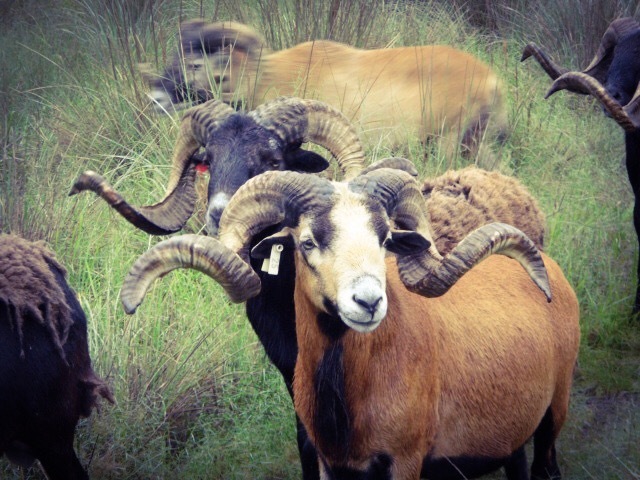 These 2 Black Hawaiian rams show the diversity in horns available on the von Netzer Ranch. 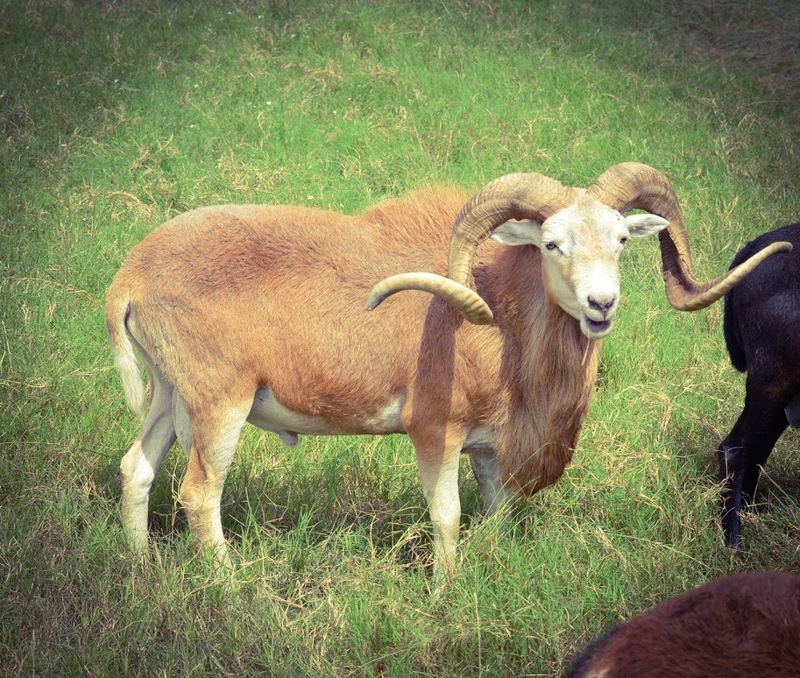 Our rams also include all-tan animals. 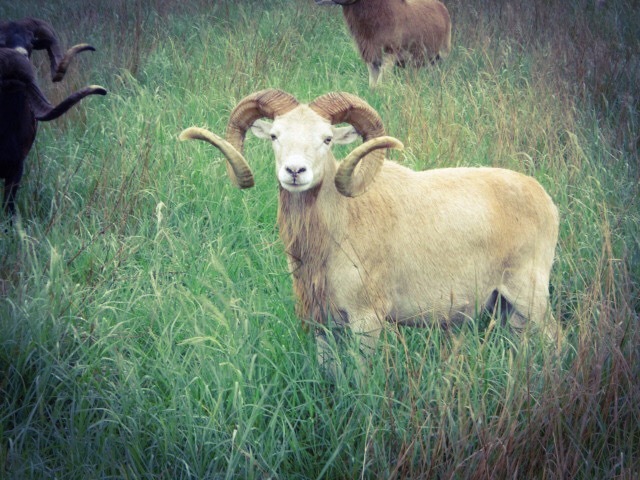 Another all-tan ram at the back of the pack. 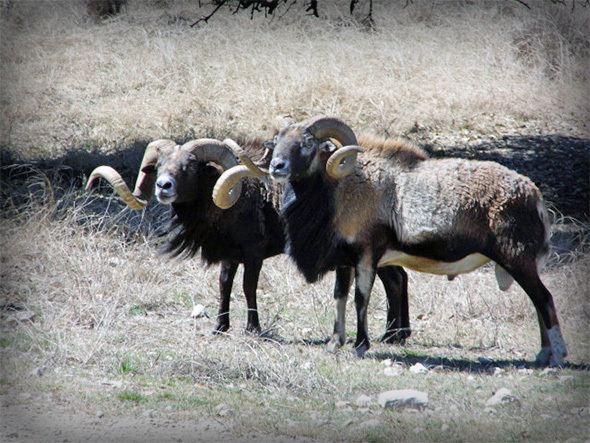 These 4 rams are representative of rams roaming the ranch. 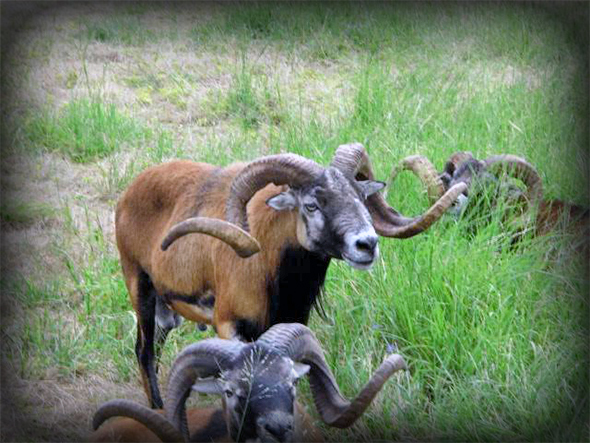 This group of trophy rams holds some beauties for any hunter. 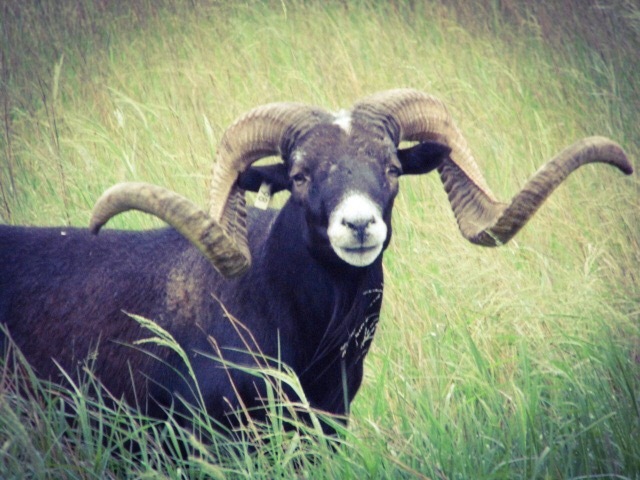 This large Black Hawaiian ram is a real beauty. 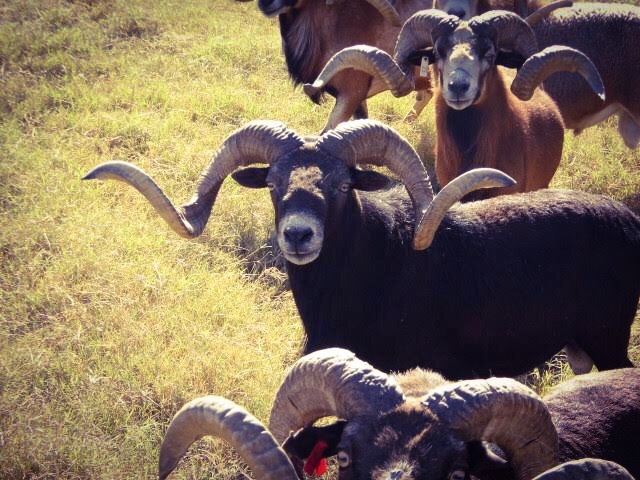 This Black Hawaiian ram stands out in a crowd of trophies. 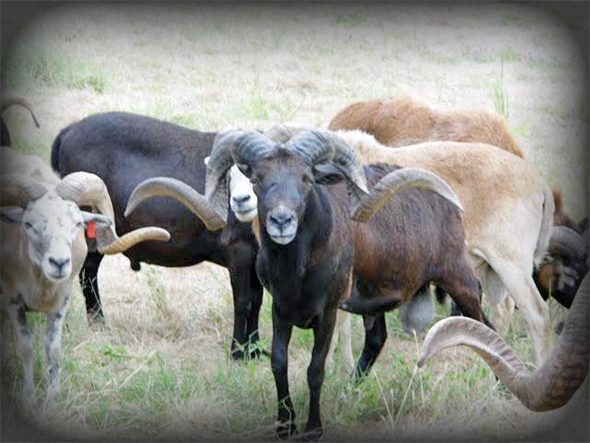 This group of large rams shows animals representative of those available for hunting this fall. 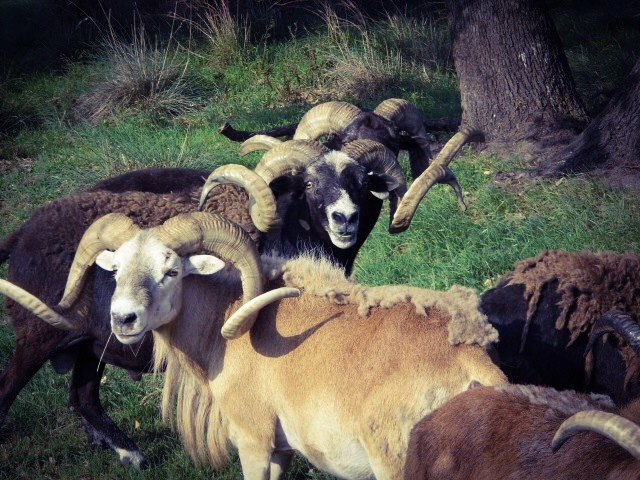 A group of mature rams moves through the trees. 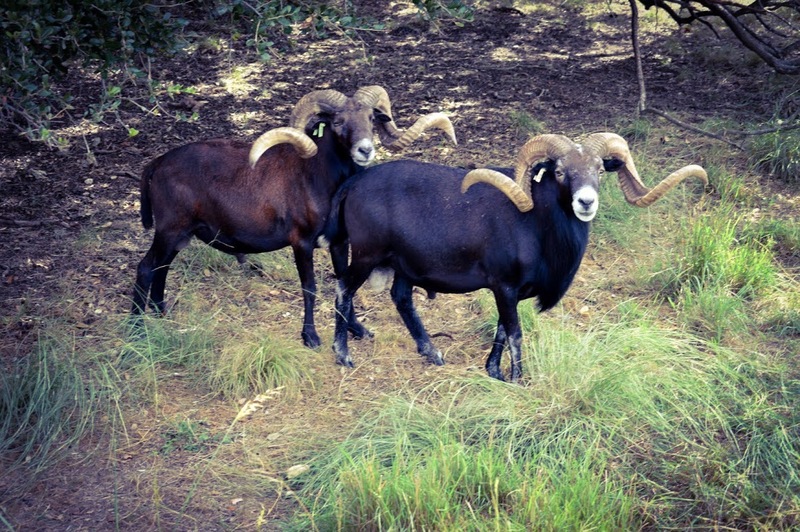 These 2 large Black Hawaiian rams show the impact of drought-breaking rains this spring. 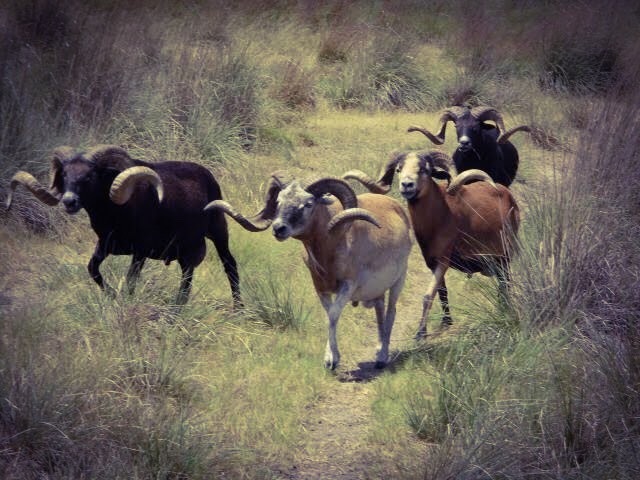 These are some of the rams roaming the von Netzer Ranch. 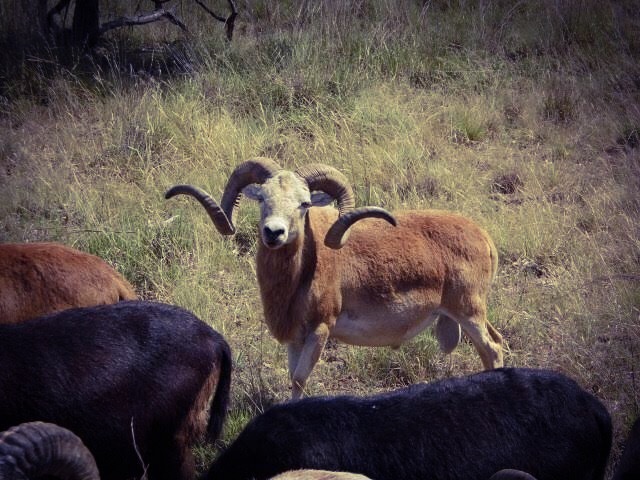 This Black Hawaiian shows the genetics in sheep on the von Netzer Ranch. 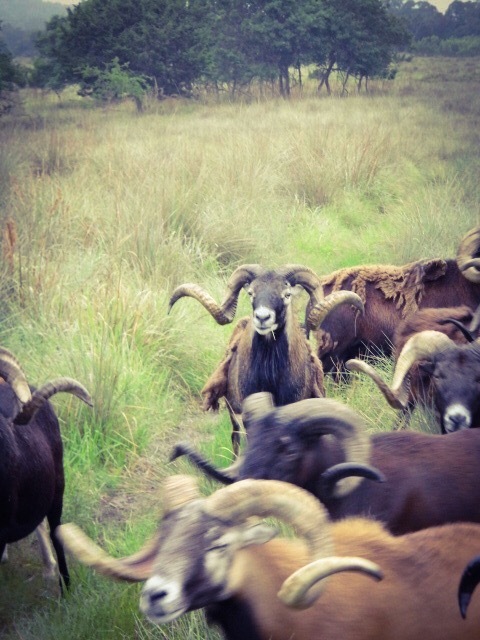 This grizzled Black Hawaiian ram stands out in a crowd. 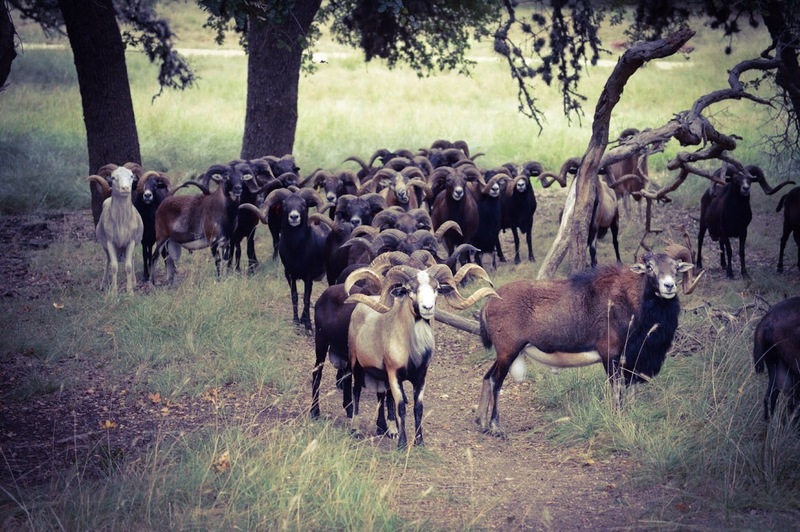 This large group of rams shows the variety of sheep available for hunting on the von Netzer Ranch. 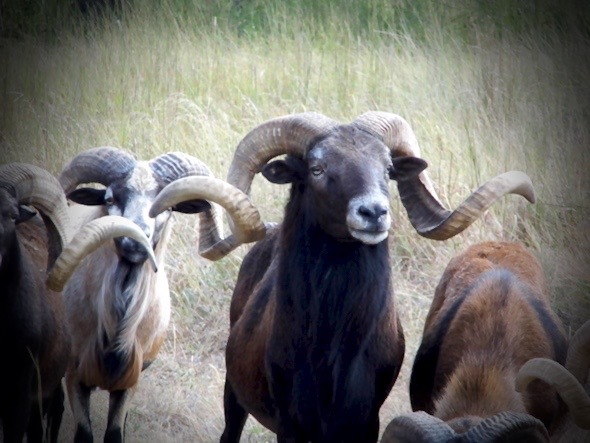 These rams already are in the trophy category. 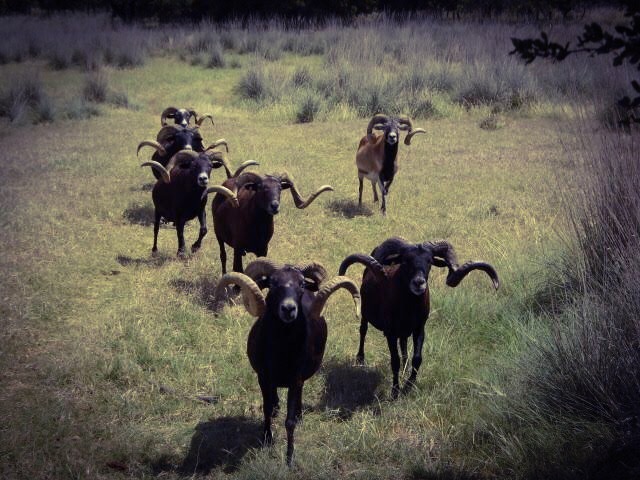 These 4 large rams were traveling single file when captured by the camera. 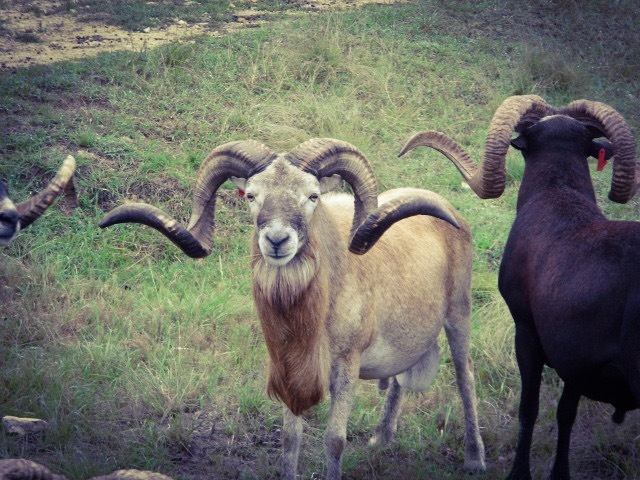 These bruisers are still growing already impressive horns. 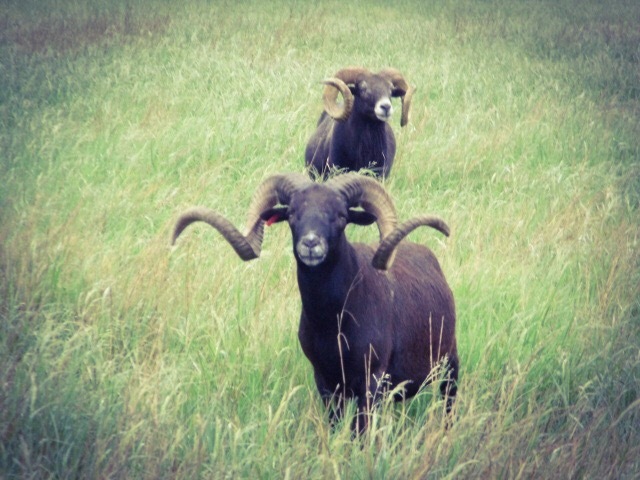 This large Black Hawaiian ram is representative of the rams found on the von Netzer Ranch. 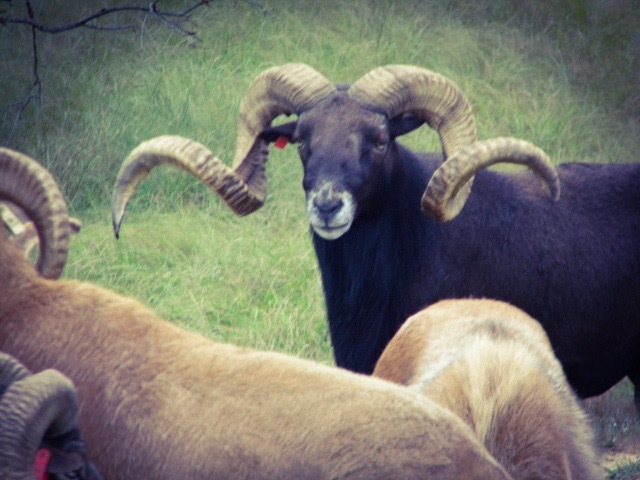 Another large Black Hawaiian ram. 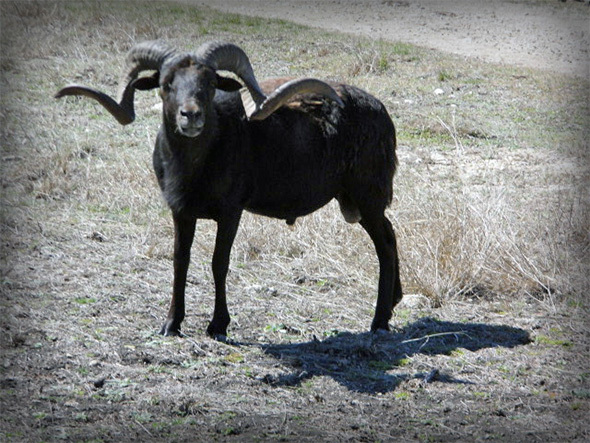 This monster ram already is shedding his winter coat in mid-March. 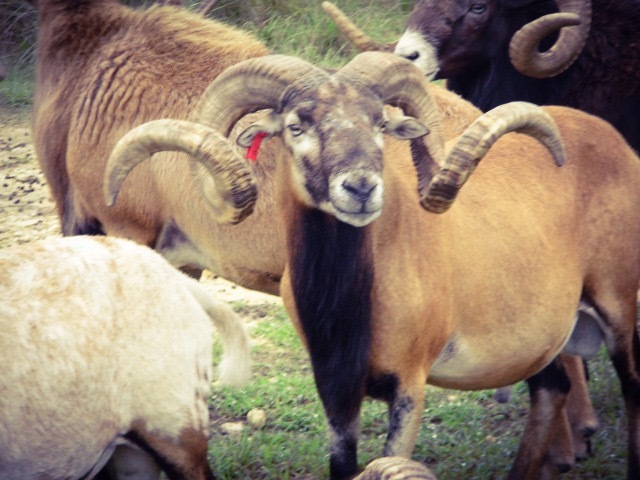 This large ram is one of several impressive all-tan Corsicans on the ranch. Another impressive tan Corsican still growing.